This is a pre-order. Expected ship date is August 31, 2019. Please Note: This item will ship in August 2019. Subject to change. Jeb Burton, son of former NASCAR® driver Ward Burton, will join JR Motorsports as a part-time driver of the No. 8 Chevrolet Camaro in the 2019 NASCAR Xfinity Series™ season. For five races throughout the season, Burton will wheel the No. 8 State Water Heaters Chevrolet Camaro. Burton is no stranger to the Dale Earnhardt Jr.-owned team, having driven for JR Motorsports in the Gander Outdoors Truck Series™ in 2015. Now the official die-cast of Burton’s No. 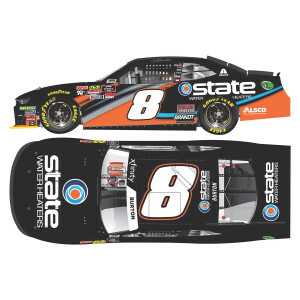 8 State Water Heaters Camaro is available to order from Lionel Racing. Each 1:24-scale replica features an opening hood, rolling Goodyear tires, authentic deco, and more. This die-cast is also available in a 1:64 scale. 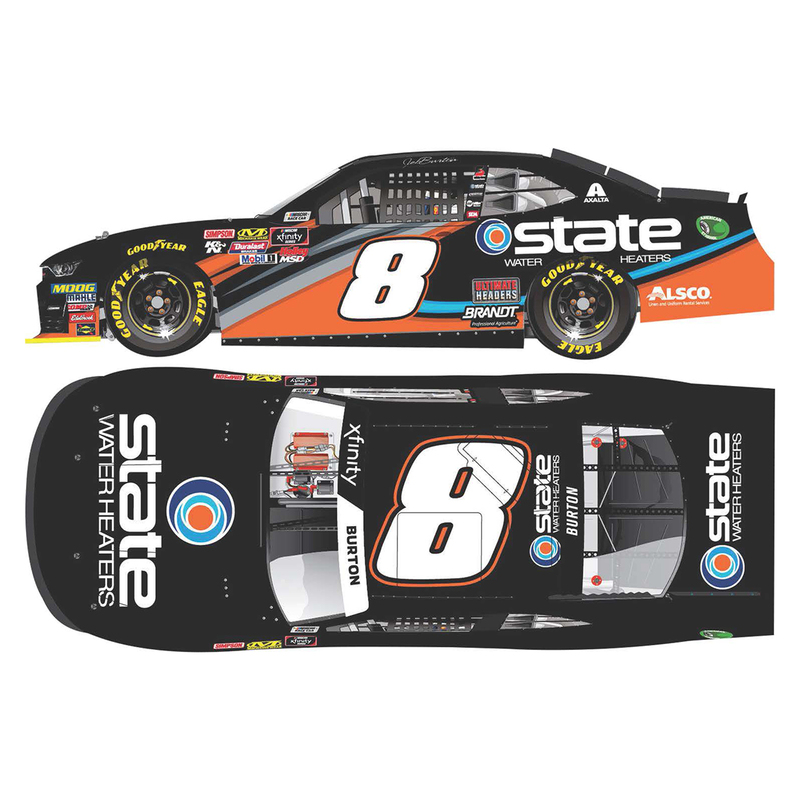 Plus, the 1:24-scale die-cast can be purchased in either an autographed or non-signed version. Don’t wait and miss out. Order today!